First of all, we know my obsession for this brand. In high school I said that I would be a creative director one day and that I loved Marc Jacobs. (Not quite a creative director yet, but I'm not doing so bad. )Well, the Jacobs era is gone and the new Men's artistic director at Louis Vuitton is Kim Jones. The cool thing about Kim is he actually is a part of the street wear culture. Do you remember Pastelle? The clothing line that Kanye West talked about FOREVER but never released? 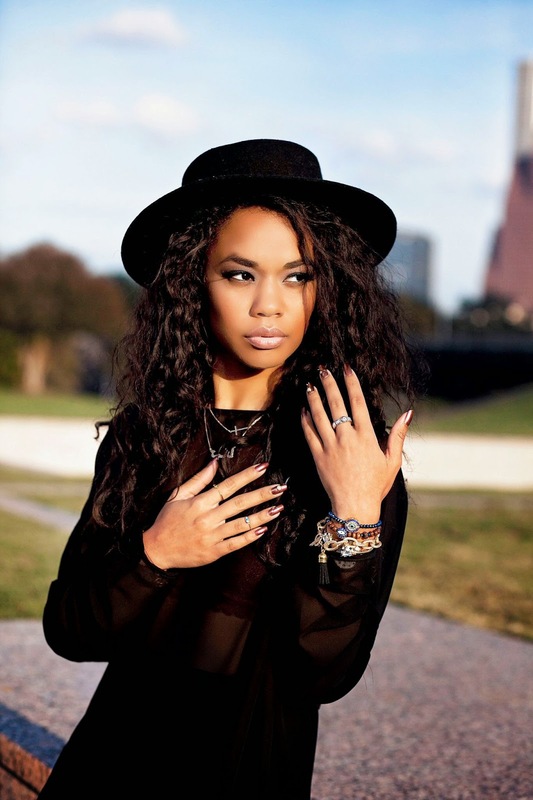 Kim Jones headed the project. To work with Kanye at THAT time... Kim Jones was clearly was pin pointed as a leader in streetwear. He has a pretty diverse portfolio, doing design work for everyone from uniqlo to McQ by McQueen and Iceberg. After debuting a highly sought after collab with Supreme, he revamped the World Tour collection. This collection allows clients to go in store and build a custom bag with several patches. Kim Jones has a shiba so he made one of the patches a shiba!!! His speedy is completely custom because there are 3 large ones in a row. If that was an option I would love to do it! There is also the little keychain of a Shiba Inu. I scoured youtube for reviews on this and I am so impressed and excited for this. 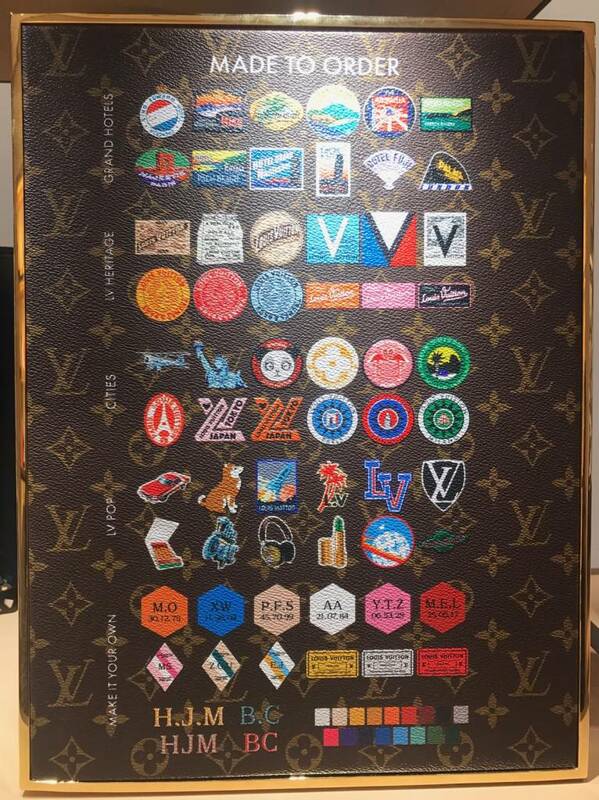 The World Tour Collection is very limited and you can only place certain patches in specific places. The patches are a mix of pop art and vintage trunk patches from Louis Vuitton archives. You can contact your sales associate and they will help you build it! They will mail you your bag from France in 4-8 weeks. 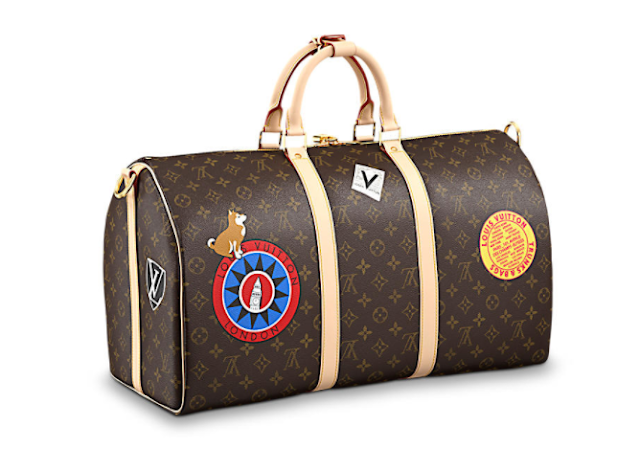 The fact that it will come directly from France is a huge win for Vuitton bag collectors. It's not always easy to be guaranteed a made in France bag these days. Also, this edition of the Neverfull MM comes with black handles. This is unique to the World Tour collection specifically. I always wished most of the monogram had black handles because the leather does not look as aged. Some people like the way the leather ages on the standard handles but it's just not my favorite. 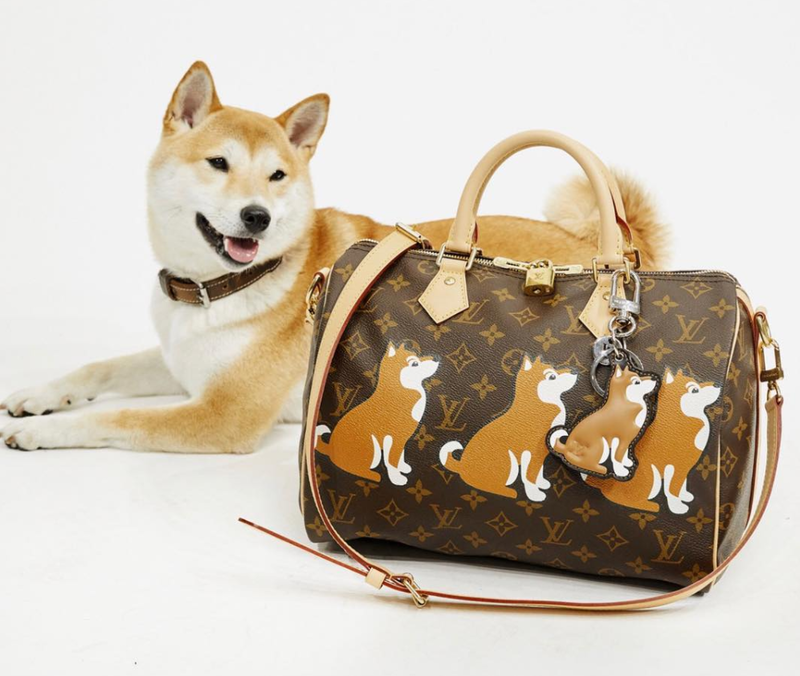 I personally love this world tour collection and can probably only afford a toiletry bag, but I want something with a shiba so it might happen. After this crazy supreme collab I wonder what's next? My favorite LV collab of all time is the capsule with Takashi Murakami, so maybe another artist? I wish for it to be Yayoi Kusama, but someone like Kaws is more probable.